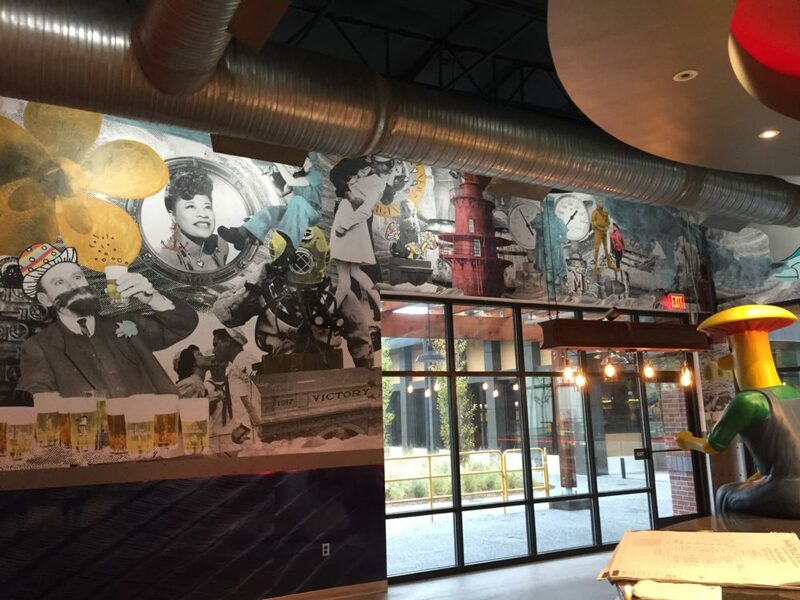 Interior murals designed and installed at new Mellow Mushroom locations; Cincinnati OH and Newport News, VA. Mellow Mushroom is a pizza chain featuring themes of tie-dye, mushrooms, and color. We jumped at this opportunity to create brilliantly unique wheat-pasted collage murals to liven up the spaces. 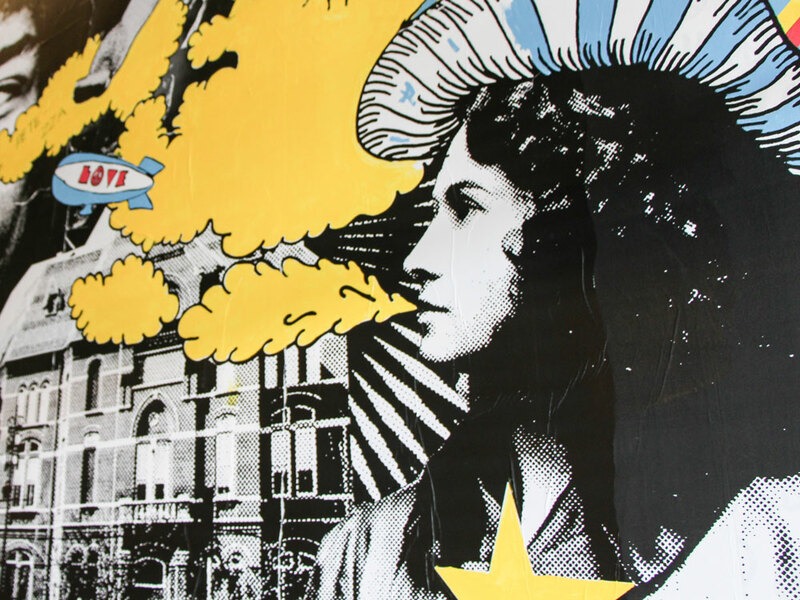 Two murals were created that exemplified the ideology of Mellow Mushroom but also incorporate elements of the location where they reside. They reference, the 70’s, local architecture, pop culture, and just plain fun. 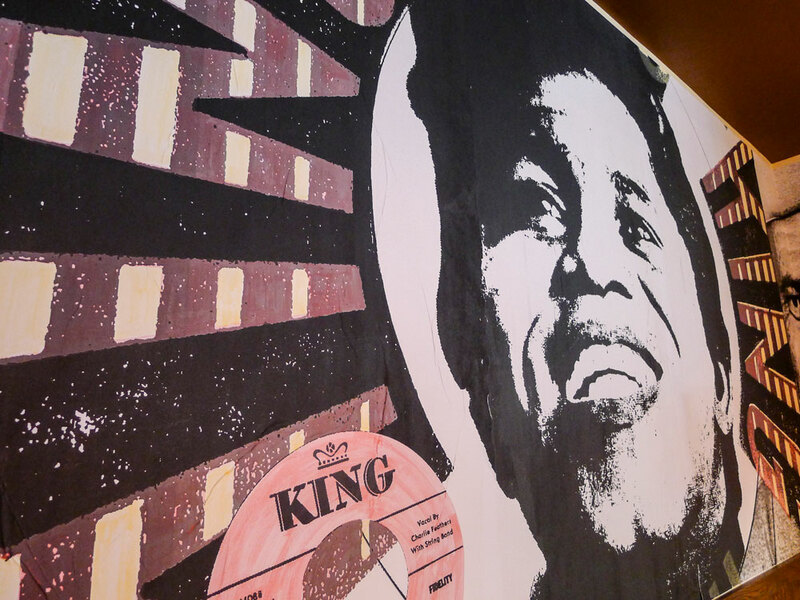 In Cincinnati, Multiple interior walls were created to reflect the music culture and deep history of Cincinnati and Ohio. 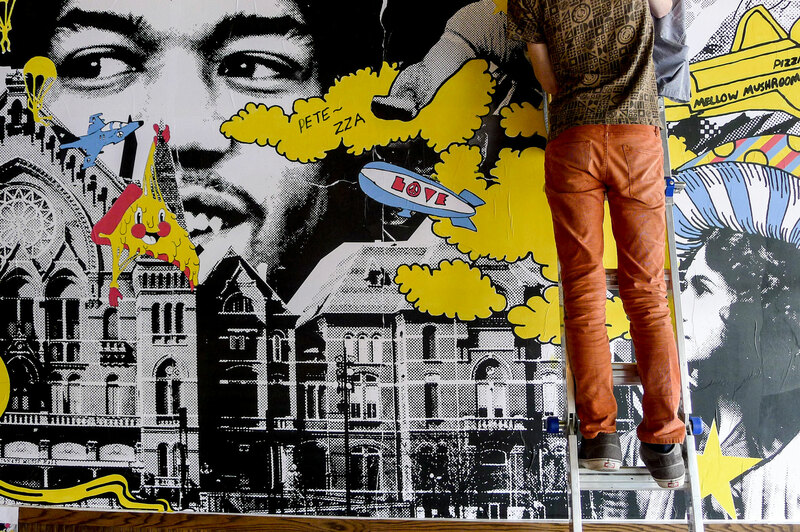 The designs were created, printed, then wheat pasted, a process reminiscent of street artists, and were then finally painted with pops of color. 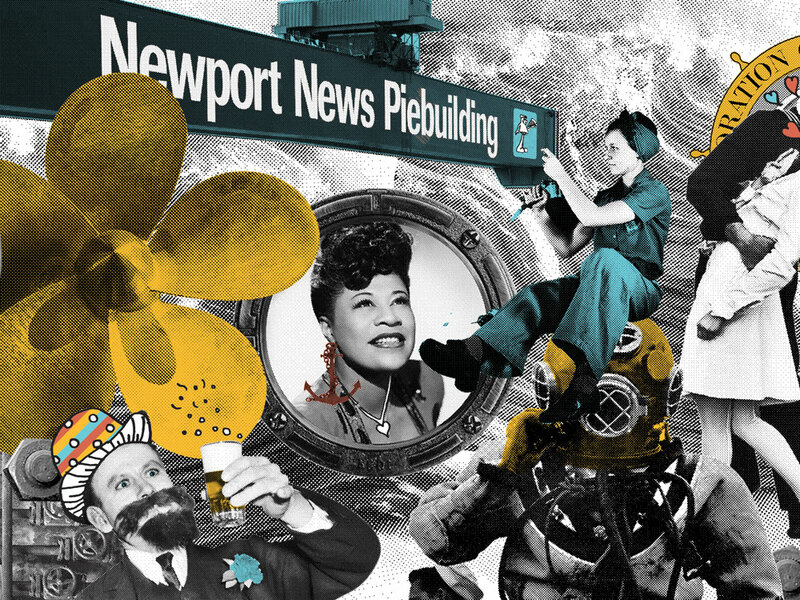 At the the Newport News location A large interior wall 20 feet tall and more than 30 feet long was created to celebrate Newport News' great naval history and culture. BLDG designed the image, installed on location then painted.